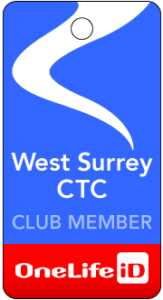 Our new feather flag flies outside the Elstead Village Hall on Sunday 31st May for the three Audax events organised by Nick and Marion Davison, Peter Hackman and Bob McLeod. We opened the Elstead Village Hall control at 0645 in steady rain and strong winds. 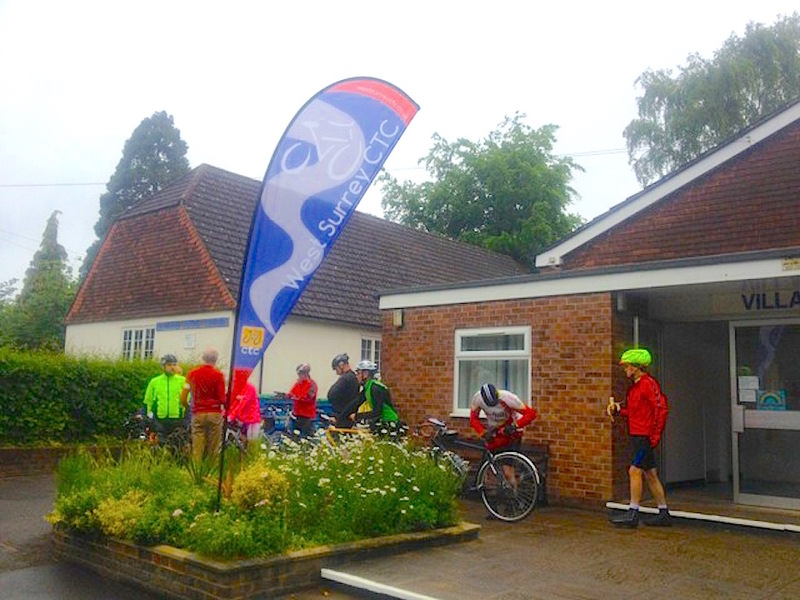 Despite the bad weather, forty six riders on the Stonehenge 200k, Danebury 150k and Elstead 100k braved the elements as they headed out to Whitchurch and were rewarded with sunshine and tail winds in the afternoon as they headed back from Alresford. The last two riders finished at 9.15pm just as it was getting dark. We had some impressive riders taking part: two riders on the 200k are due to take part in the PBP in August and another two were training for a race from Belgium to Turkey this summer.